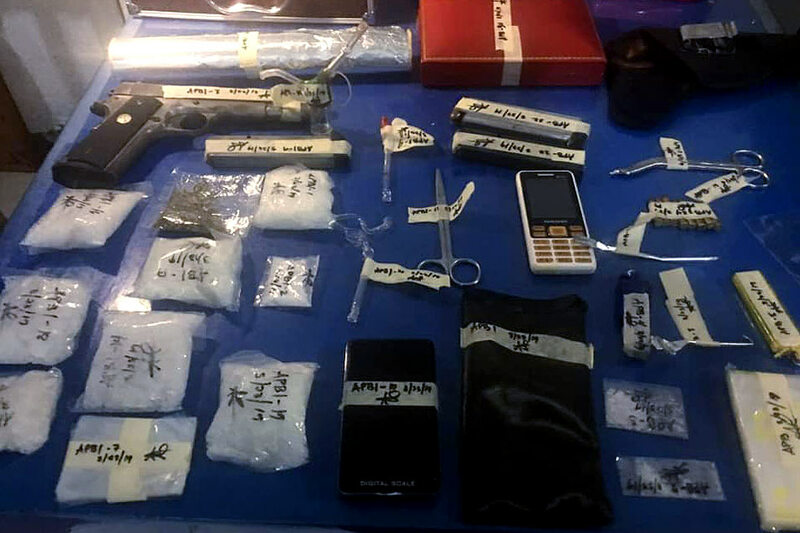 An estimated P1.8 million worth of suspected shabu and a sachet of marijuana were seized in a drug raid in Nabua town, Camarines Sur on Saturday morning, police said. The suspect was cornered inside his house, where illegal drugs were seized. A male companion and a minor, who were both inside the suspect’s house during the raid, were also arrested. According to Police Major Chester Pomar, the suspect is the number four drug personality of the town. “Matagal na itong nire-report sa atin na involved sa distribution ng illegal drugs. And at the same time yung mga drug personalities natin lumalabas na sa kanya rin kumukuha. So, ini-expect namin na maraming makukuha,” Pomar said. A caliber .45 handgun, three magazines, and ammunition were also recovered.